Chef Ralph Burgin of Sutro’s at the Cliff House guides us through his day starting with the field in Sonoma where he grows organic vegetables and more than 30 varieties of heirloom tomatoes. 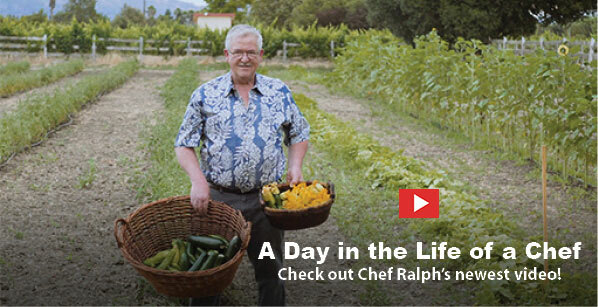 As a part-time farmer Chef Ralph understands the importance of the seasonality of dishes. 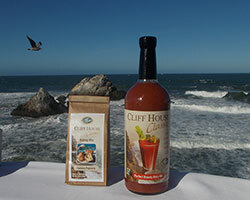 He relies on his abundant crop of heirloom tomatoes for the Cliff House’s tomato needs from July through fall’s first frost. Come summer, Chef Ralph’s 1,500 tomato plants proliferate in the hot Sonoma sun and are added to the dining room menu until the middle of October. Just about all the tomatoes go to the restaurants, from the heirloom tomato carpaccio to the seasonal fresh tomato sauces, and other items inspired by the bounty of the farm. 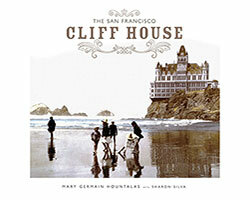 Whether you are in the mood for a casual fun afternoon, an elegant evening out, or a play day with the family, there is always something to enjoy at the Cliff House. 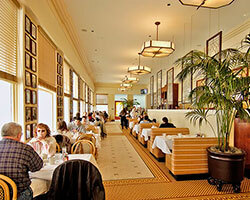 Dine in the casual Bistro Restaurant on the main level with a classic San Francisco menu for breakfast, lunch or dinner with amazing views of Ocean Beach and the Pacific Ocean. 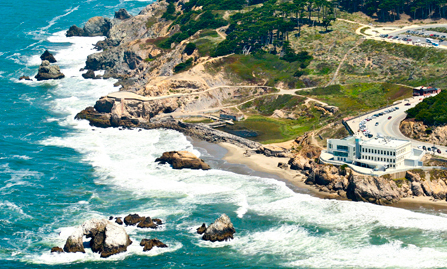 Enjoy a seasonal California coastal menu for lunch or dinner in the elegant Sutro’s at the Cliff House where two-story windows offer panoramic views of Seal Rocks and the Marin headlands. Treat yourself to a San Francisco tradition with the Sunday Champagne Brunch Buffet in the Terrace Room on the lower level. 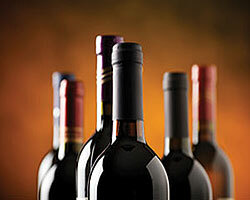 Enjoy live harp music and free-flowing champagne as you choose from a wide selection of seasonal fresh brunch items. When planning a wedding, a family celebration, or a corporate function, the historic Terrace Room is the quintessential San Francisco experience. Our guests return year after year to celebrate memories that last a lifetime. in our Bistro or Sutro’s restaurants. Click for this week’s menu. FROM THE EAST BAY Highway 80 across the Bay Bridge, take the Civic Center/Ninth Street exit. Turn right onto Ninth Street, stay in the right lane, and turn right onto Larkin Street. Turn left on Geary and take Geary to Ocean Beach. FROM THE SOUTH BAY Highway 280 North to the 19th Avenue exit. Proceed on 19th Avenue into Golden Gate Park, make a left onto 25th Avenue, and proceed to Geary Blvd. Cross Geary and make two left turns. Turn right back onto Geary to Ocean Beach. Below are some links you may find useful for public transportation in San Francisco and around the Bay Area. 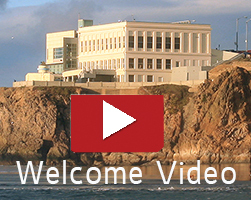 The Cliff House, the Sutro Bath ruins, Ocean Beach, Fort Point, Fort Funston, and the Presidio are all part of the Golden Gate National Recreation Area (GGNRA). A bike ride through these areas is an amazing experience where you can enjoy historic locations and extraordinary views along the way. Below are some links you might find useful while researching and planning your bike ride.